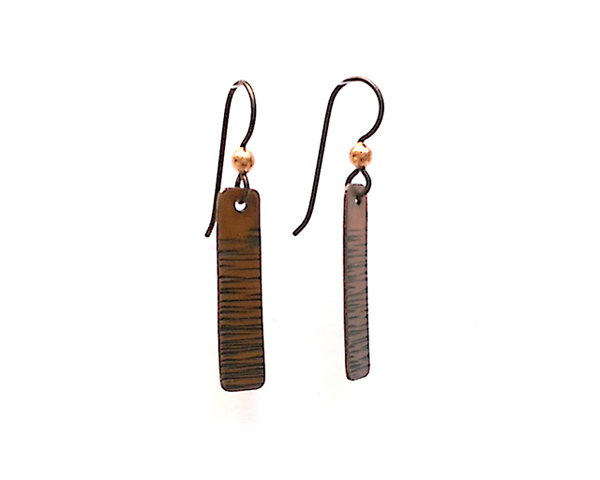 Simple and classic Straight and Narrows textured earrings. These earrings are the type of go-to earrings that you can wear from day to night, perfect with jeans and that little black dress. Short: Approximately 1″ long from bottom of earwire. Medium: Approximately 1.25″ long from bottom of earwire. Long: Approximately 1.5″ long from bottom of earwire.